← Fed up of airport delays? 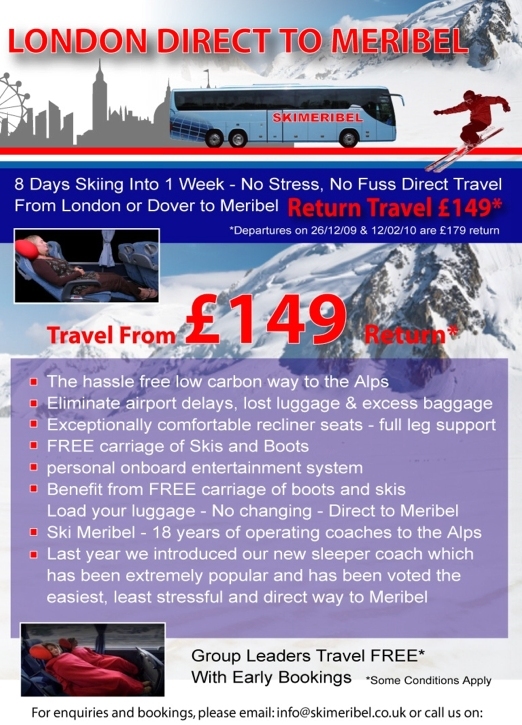 Book your trip with www.skimeribel.co.uk on our luxury sleeper coach, and head for Meribel in the Terentaise Valley of the French Alps. This entry was posted in What we offer and tagged France, French Alps, Meribel, Resort, salopettes, ski, ski goggles, ski jacket, Ski Meribel, skiing, The Three Valleys, waterproof trousers. Bookmark the permalink.